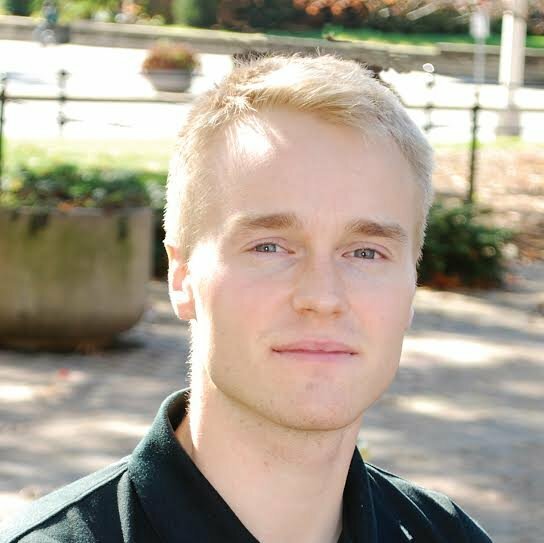 Software Engineer working at Human API 🙋‍ who graduated from Purdue University currently living in Berkeley, CA. I enjoy building software, contributing to the open source community, and continuously learning. Create or join a game with friends or strangers. Once the game starts, all players will be prompted to take a picture of something (hot dog, coffee mug, etc.). The first person to take a picture of that item, wins. Clarifai API was used for image recognition. Hasura API was used as a real-time, GraphQL server. This web app was developed with a team of 5 developers. 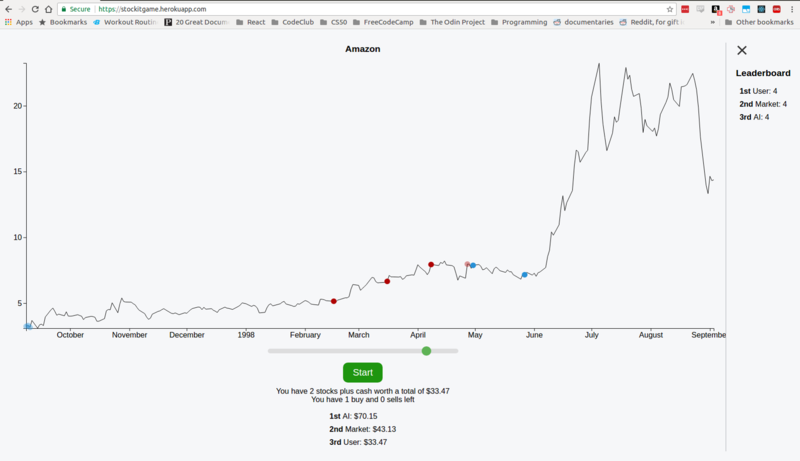 Used Pandas and Scikit Learn to develop a machine learning model for each stock. This model is used to determine if/when the AI should buy/sell. Used D3 and React to plot the data and update the leaderboard. Optimized for desktop and mobile. A node app updates a MySQL database every hour with updates to the latest Hacker News: Who is Hiring post. Separately, the web app queries the MySQL database for Hacker News data when the user submits input form. 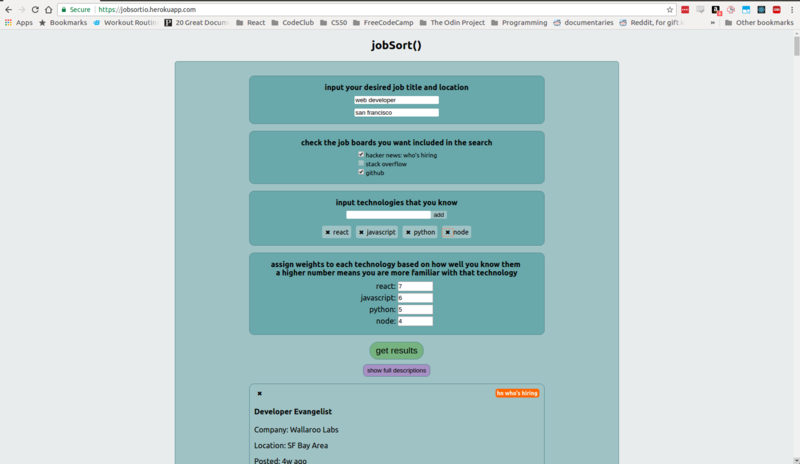 The job listings are sorted by the tech the user knows and how familiar the user is with each of them. Optimized for desktop and mobile. Calls Yelp and Google APIs to get search result data that can be filtered/sorted by various categories. 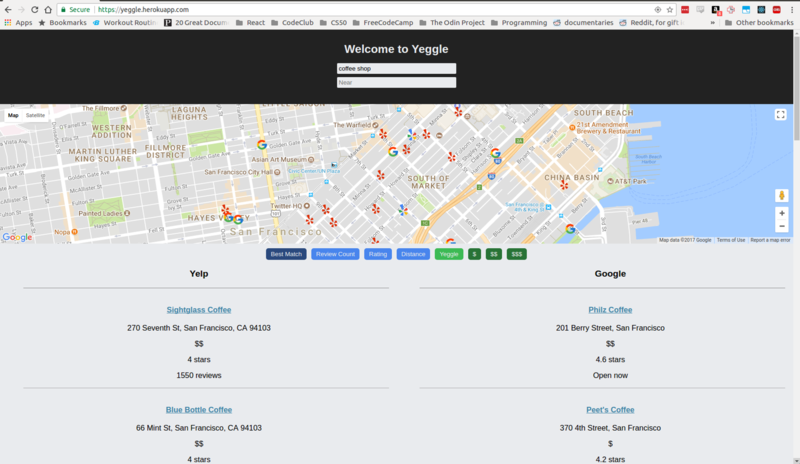 The "Yeggle" button matches up Google results to Yelp results; the Yeggle algorithm utilizes coordinates, title, and address to determine if there is a match. Optimized for desktop and mobile.